New State Long-Term Care Ombudsman Orientation (By Invitation Only) - Breakfast and Lunch will be served. Breakfast is served at 8:00 a.m.
You do not have to be an expert to make a difference in advocating for state nursing home reimbursement policies that benefit residents. This seminar, by two national experts, will help you understand what you need to know about nursing home reimbursement to participate effectively in your state. The day before the conference begins, join Cynthia Rudder, PhD, director of special projects at the Long Term Care Community Coalition, a citizen advocacy group in New York State, and Edward Alan Miller, PhD, MPA, Associate Professor of Gerontology and Public Policy and Fellow, Gerontology Institute, at the University of Massachusetts Boston and Adjunct Associate Professor of Community Health at Brown University, for a free three-hour seminar on the principles of nursing home reimbursement. Both Cynthia and Eddie are experts in how state governments pay nursing homes under Medicaid; Cynthia, from the perspective of an advocate active in her state’s reimbursement policy making, and Eddie, from the perspective of a researcher who has conducted numerous studies investigating the determinants and consequences of state reimbursement policy decisions more generally. Through presentation and group activities, you will learn basic reimbursement methodologies and trends and how to use this information to influence nursing home quality, cost, access and encourage culture change. You also will learn about two states where advocates have successfully influenced the direction of nursing home reimbursement to the benefit of consumers. Space is limited. Please sign up for the seminar by e-mailing or calling Sara Rosenberg at sara@ltccc.org or (212) 385-0355. This meeting is for users of the OmbudsManager data entry system to engage in dialogue with Harmony Information Systems and members of the OmbudsManager Users Group. Pre-conference intensive workshops are available at the extra cost of $60 and will be held in the afternoon of October 25, prior to the start of the evening reception. Interested attendees may register for an intensive workshop when registering for the conference. The intensive workshops are held concurrently, and attendees may only register for one session. Below is a description of the intensive workshops. This session is geared toward any conference participant who would like an introduction, refresher or new tips for advancing long-term care advocacy at a local, state and national level. Specific topics to be covered include: grassroots organizing and strategies for making your voice heard at the state and national level. Speakers will cover the nuts and bolts of advocacy such as: making the case for your issue, how to request legislation, how to craft effective action alerts, how to develop a successful relationship with your elected officials and tips for testifying. Finally, the Consumer Voice staff will provide a brief overview of a new online advocacy tool the organization will implement in spring 2011, and how you can use this tool to participate in national and other policy efforts. This interactive session will provide concrete tips, tools and strategies to improve communication and manage conflict between individuals receiving long-term care, services and supports, family members and professional caregivers/staff or administration. Consumers and family members often struggle with how to advocate and present their concerns and ideas in a productive manner, and be viewed by professional caregivers and staff as an important and valuable agent for change to help improve the quality of care and life for consumers. This session will be helpful to consumers, family members, family council members, ombudsmen and other advocates interested in working to ensure consumer and family concerns are presented in a constructive way to bring about the best possible care and life for consumers of long-term care, services and supports. This presentation will provide an overview of the ways in which consumers are being called into action to advocate for change in how and where we age. Change in long-term care, from an institutional model to person-centered care, is dependent on consumers creating the demand for this change. This session will share activities at the national and state levels that seek to involve consumers in advocating for change. Participants will discuss and plan how they can engage consumers in advocacy in their own communities and we need to prepare for the “new, informed consumer” as a result of this call to action. 5:15 p.m - 6:30 p.m.
Events happening now in Washington will leave their imprint on long-term care consumers and advocates for years to come. Some are creating opportunities — implementation of long-term care provisions in the Affordable Care Act and the first steps in reauthorization of the Older Americans Act — while deficit reduction threatens not only funding but also consumer protections in Medicaid, Medicare, the OAA and other federal programs. Two Senate staff members at the center of these events describe the unfolding drama in Washington and the role that grassroots advocates can play in shaping it. Reception Provided by the Consumer Voice - Join us for the opening reception in the Center Concourse area (conference registration area of the hotel) for heavy hors d’oeuvres and a cash bar. In 2010, Illinois passed a progressive state nursing home reform law that —among other things — increased nursing home and surveyor staffing levels; increased fines; improved informed consent for psychotropic medications; restricted Medicaid payment for inappropriate psychotropic drugs; placed meaningful controls on medical experimentation on residents; and required better assessments of residents with criminal backgrounds. Two advocates at the center of the campaign to pass the law tell how “serendipity and hard work” brought it about and all that came afterwards to implement it, improve it and keep it from being repealed. Discussion will include working with reporters and networks. The revised Minimum Data Set 3.0 (MDS 3.0) went into effect October 1, 2010 and has significantly changed the assessment process and enhanced the opportunity for resident-directed care by including more resident interview items. Specifically, Section Q of MDS 3.0, the “Resident Participation in Assessment and Goal Setting” was created to identify the resident’s goals, their definition of quality of life and care and to determine if the resident wants to reside in the nursing home or explore community options. Presenters will share future changes to the MDS 3.0/Section Q that will improve the process and the resident’s experience during the assessment and interview and discuss best practices in collaboration among agencies involved in providing residents with information about community options and assisting with the transition. Additionally, attendees will have the opportunity to share their experiences and engage in a dialogue with leaders from CMS and AoA. This session will review Olmstead cases pending around country on behalf of individuals or classes of people who are either at risk of unnecessary institutionalization or are already forced to reside in nursing homes, even though they want to be in community-based settings. The litigation is split between cases on behalf of (1) people who, because of Medicaid cuts to community services, will be forced to seek services in emergency rooms and nursing homes; and (2) classes of people who are forced to remain in nursing homes because their state does not have an effective transition plan. Ombudsmen, family advocates and resident advocates play a critical role in connecting legal advocates with appropriate plaintiffs because of their relationships with residents and knowledge of the barriers that interested residents face when they try to access community-based care. Nursing home reforms in the Affordable Care Act are being implemented now. This session examines what CMS is requiring on an array of ACA provisions— including transparency in ownership and expenditures, independent informal dispute resolution, use of civil monetary penalties, reporting suspected crimes in facilities, criminal background checks of workers, posting of survey reports on state websites and changes on Nursing Home Compare. Almost every provision provides an opportunity — or an imperative — for advocacy in your state. The session will focus on strategies to ensure successful implementation. Twenty-four years after consumer advocates and nursing home providers reached a consensus that persuaded Congress to pass the Nursing Home Reform Act, the debate over achieving quality continues — against the backdrop of an evolving long-term care system and the potential for critical funding cuts in Medicare and Medicaid. Officers of two major provider associations, who co-chair Advancing Excellence in America’s Nursing Homes and oversee policy and quality care in their organizations, engage in a dialog with consumer advocates about the role that regulation, surveys, financing, staffing, and culture change play in attaining quality. Two private attorneys who serve on the Consumer Voice Leadership Council and an AARP Foundation attorney discuss practical ways lawyers are working with advocates, residents and families to protect residents’ rights under the law. The discussion will include an overview of federal laws that protect residents; warning signs of abuse and neglect; when legal action is appropriate; and how to work with attorneys when a resident is seriously injured due to abuse or negligence. One of the most common obstacles to lawsuits is mandatory arbitration agreements. An AARP Foundation lawyer explains recent favorable court decisions and legal strategies advocates can use to help family members and others with powers of attorney to avoid binding residents to contracts that would keep their rights from being vindicated in a court of law. This session will focus on the problem of dementia-driven, resident-to-resident sexual abuse. The definition of sexual abuse in federal nursing home regulations requires the perpetrator to willfully intend to abuse, which demented residents are often incapable of. This creates a problem with enforcing abuse regulations against facilities that fail to protect their residents from dementia-driven resident-to-resident sexual abuse. Should sexual abuse be redefined to reflect the experience of the victim, rather than the state of mind of the perpetrator? Come and engage in a lively dialogue and debate around this issue. In their own words, five of Connecticut’s nursing home residents tell the stories of their lives, the changes when they move into a nursing home, their fears and how they find voice and become empowered to live life to its fullest. Whether a resident, a family member or staff member in a long-term care setting, you will understand better what the experience of retaliation is like for residents, and you will be compelled to explore your own feelings and fears about retaliation for long-term care residents. This video and the resident interviews are based on research by the University of Connecticut Center on Aging and is the result of residents themselves bringing the issue of retaliation out in the open. The DVD includes the video, an Instructor’s Guide, the Connecticut Residents’ Rights, the University of Connecticut study and a Best Practices Guide. Note: This session will be videotaped. Are you looking for ideas on how to keep ombudsmen awake and tuned in during training on NORS? Do you want some new ideas to help with the need for ongoing training to improve consistency in NORS reporting? If you conduct training on NORS for ombudsmen, this session is for you. This session includes information about the development of the NORS training modules, tips for conducting training using the modules for new and experienced and sharing of successful practices from several programs. Join the dialogue and bring your ideas. This session is not a training on the content of NORS modules. What good is a campaign if you are not up to your hips in action? There’s a huge role for consumers, family/friends and advocates. Come find out the latest information on the Advancing Excellence Campaign, and how you can make a difference in your state. Don’t be left out of this national effort to put quality of care on the front burner. QA/PI is the latest buzzword in nursing homes. We’ll tell you what it is, and you will walk away with the latest information on topics ranging from reducing staff turnover, consistent assignment to reducing restraints. And more importantly, what you can do to help. This is panel of Michigan Local Long-Term Care Ombudsmen not only serves as direct advocates for residents for long-term care facilities in their service areas, but they also engage in very sophisticated and challenging systems advocacy within their ombudsman role. These speakers will each present on the statewide or policy level group in which they participate, and how it can be a bigger platform on which to speak to and promote residents’ rights and quality of life improvements. Financial scams are everywhere, and every one of us in a potential target. For elders, however, financial exploitation and scams may be the first step in lost independence that is never recovered. This workshop identifies practical protection tips for elders, regardless of where they live, as well as for their families and caregivers. Using video, this session will demonstrate the power of story in making your case to the public, press and legislators. We will discuss the integration of various social media including blogs, social networking, etc., in making your case and attracting new audiences. In this session, we hope to generate a lively discussion and expect it to be helpful to any advocate. Join us for the social - an evening of food, entertainment and networking with fellow conference attendees. For $50/person, we will provide a full dinner and entertainment. Salsa lessons will be given, so bring your dancing shoes! A cash bar will be available. Come support the Consumer Voice; bring your travel companions and colleagues! There are numerous ways that states can improve the performance of their long-term services and supports (LTSS) systems. States can make alternatives to nursing homes available, put an effective safety net in place for people who are not able to pay for care, provide support to family caregivers and ensure that LTSS settings are of high quality. This session will provide participants with information to help advocate for a system that achieves those goals. Participants will learn about a first of its kind “state scorecard” on long-term services and supports that measures state performance across a number of different dimensions and can be used to compare one state to another. They will also hear how one high ranking state has worked to improve its LTSS system and how another is using the scorecard as an advocacy tool. In the past decade, Michigan has gone through multiple rounds of reform efforts to make long term supports and services more widely available in the community, to streamline access, and to imbue services and supports in all settings with person-centered thinking. This workshop will dissect and analyze some of the gains, successes, back-sliding,and outright failures Michigan advocates have experienced. The panelists will each give insights and tips from their years of advocacy in LTSS and discuss strategies, important partnerships and advocacy methods that have (at times) helped to move Michigan forward. More people using Medicaid funded long-term supports and services are being offered and using “self-determination.” Supports are purchased on the basis of what is desired, not what is “available” or “authorized.” And, the Medicaid recipient recruits, hires and supervises the direct care staff -family members, friends or strangers who deliver those services. Learn about the skills and tools needed and available to actualize “a life you want to live” through employing your own direct care staff. Consumers now, more than ever, have access to assisted living facilities as states increasingly apply for Medicaid waivers to cover the cost of assisted living services. But what is required under a Medicaid waiver? What is CMS’s process for determining whether or not it will be approved? How do waivers influence quality in assisted living? And as advocates, how do we influence what is included in a waiver? Join this engaging and lively dialogue about state and federal Medicaid policies in assisted living, and take away strategies for influencing quality in assisted living in your own state. Engage in a dialogue with Alice Bonner, the director of nursing home survey and certification at the Centers for Medicare & Medicaid Services (CMS). Dr. Bonner assumed her job in 2011 during one of the busiest years in CMS’s regulatory history as new nursing home requirements in the Affordable Care Act are being implemented. She will highlight the status of key provisions, including disclosure of entities that own and operate nursing homes; reporting of nurse staffing information; independent informal dispute resolution; mandatory reporting of crimes in facilities; and significant changes to Nursing Home Compare. This session will also provide an opportunity to discuss issues you identify with the top-ranking federal official in nursing home survey and enforcement. Legislators, policymakers, researchers and the media have isses periodic and worrisome reports about abuse in long-term care facilities for more than 30 years, focusing first on nursing home and more recently on an array of assisted living facilities. In response, the federal government has enacted laws and created limited initiatives that have provided a fragmented and inadequate response to pervasive abuse and neglect in these facilities. This workshop for advocates at all levels will review the federal government’s efforts to combat abuse in long-term care facilities and propose strategies for a more robust, effective and coordinated federal response. As we move to increase the options in long-term care, individuals with a guardian face a formidable obstacle in exercising choice. This obstacle affects nursing home residents who want to move into the community and people in the community threatened with institutional care. This session focuses on understanding a guardian’s duties in determining where an individual resides; recognizing the reasons a guardian may be resistant to honoring the person’s wishes; and developing creative and effective remedies to deal with the recalcitrant guardian. This informational session looks at the challenges and disparities faced by older LGBT adults in today’s long-term care facilities and details what you can do to advocate on their behalf. We will discuss a recent report that relays stories directly from LGBT older adults and their families and friends as well as recommendations for what advocates, policy makers and providers can do today to address this issue. You will hear directly from advocates implementing these recommendations in long-term care facilities today and will come away up to date on the latest policy happenings (including Medicaid LGBT eligibility issues), successes and resources available. Both workers and consumers play a key role in achieving quality home care. Workers need the skills and competencies to provide good care and services, while consumers need to know how to self-advocate and how to be a good employer if they direct their own care. This workshop will discuss ways in which some states are working to better equip direct care workers through trainings, competency evaluations and/or credentialing; how a registry can help and support both workers and consumers who hire their workers; and what the Consumer Voice is doing to educate and empower consumers to receive quality care. Participants will also learn about research being conducted to compile information about direct care worker training requirements in all 50 states and DC. Come learn what the Consumer Voice is doing to educate, empower and mobilize consumers around quality care through its Consumers For Quality Care, No Matter Where initiative and its Action Network, and how the Campaign for Better Care is doing similar work. Participants can share and learn new ideas for engaging consumers in advocacy work. This meeting provides an opportunity for family members and family council members to network with one another and share strategies, obstacles, successes and resources. The meeting is to stimulate family council development and encourage and support those who are involved in this often challenging and frustrating work. Family members and family council members are welcome to attend. Those joining this informal discussion related to ombudsman volunteer management will have an opportunity to share challenges and best practices around issues such as recruitment, training, mentoring and overseeing volunteer ombudsmen. 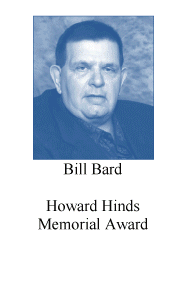 The Consumer Voice’s Howard Hinds Memorial Award is given in memory of a local Tennessee ombudsman who was a passionate champion for residents and the ombudsman program. Bill Bard is honored for his passion, ability, innovation, and generosity in using his skills to assist ombudsman volunteers, staff, and the ombudsman agency in fulfilling its mission to improve quality care and protect the rights and dignity of residents. The Consumer Voice Public Service Award is given to a person whose work has profoundly expanded public understanding of long-term-care issues. 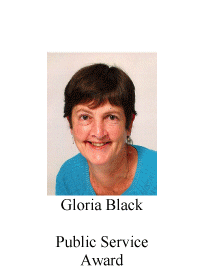 Gloria Black is honored for her extraordinary research and advocacy to focus public attention and government action on the number of deaths among the elderly on bed rails and the need for public education and government action to eliminate this serious hazard in long-term care settings. The Elma Holder Founder’s Award was established in 2002 as a lifetime achievement award for persons whose life work exemplifies leadership in long-term care. 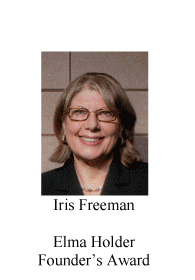 Iris Freeman is honored for her extraordinary dedication to consumers of long-term care services and her advocacy for the rights of vulnerable adults for more than 30 years. The Consumer Voice’s Howard Hinds Memorial Award is given in memory of a local Tennessee ombudsman who was a passionate champion for residents and the ombudsman program. Don Hering is honored for efforts that influenced the state regulatory agency to shut down multiple poor-performing assisted living facilities; for his continued work to ensure that the residents of those facilities had a safe place to live; and for his advocacy for legislative changes, including discharge protections for assisted living residents. The Consumer Voice’s Howard Hinds Memorial Award is given in memory of a local Tennessee ombudsman who was a passionate champion for residents and the ombudsman program. Xandy Kloeckl is honored for her tireless advocacy for residents in a facility where residents often felt they had no voice; for working to empower residents to speak for themselves when possible; and for being their advocate when needed. The Consumer Voice’s Janet Tulloch Memorial Advocacy Award was established in memory of author and advocate Janet Tulloch, who was a nursing home resident for more than 20 years, to honor a citizen advocate who has worked with residents to improve the lives of those who receive long-term care. 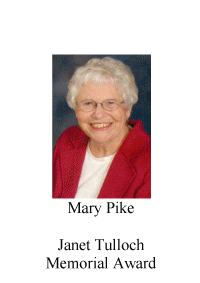 Mary Pike is honored for tirelessly and energetically leading the way for grassroots advocacy in Wisconsin; for her spirit and dignity on behalf of those who are served in long-term care homes; and for her dedication to making a permanent and meaningful difference. 11:30 a.m. - 11:45 p.m.
Each year, the Consumer Voice recognizes people who have demonstrated an exceptional commitment to improving the lives of long-term care residents. Individual members and group members of the Consumer Voice may nominate people for an award. 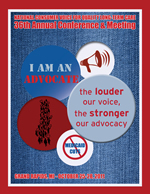 Awards will be presented at our 36th Annual Conference and Meeting, October 25-28. Janet Tulloch Memorial Advocacy Award –The award was established in 2000 after the death of Janet Tulloch, a nursing home resident, author, committed advocate and long-time member of the Consumer Voice’s Board of Directors. It honors a citizen advocate who has worked directly with and for residents to improve the lives of long-term care residents. Cernoria Johnson Memorial Advocacy Award – Cernoria McGowan Johnson (1909-1990) set up the national program of Nursing Home Ombudsmen in 1974. The award in her honor is presented each year to someone whose work has had national impact or is a model for national excellence and who exemplifies accomplishment in his or her chosen field. Elma Holder Founder’s Award – Established in 2002 as a lifetime achievement award to honor a person whose life work exemplifies leadership in the field of long-term care reform, the award is also a tribute to Elma Holder, the Consumer Voice’s founder and friend. Elma’s personal commitment, integrity and vision shaped the organization and quality of care and life in long-term care. Public Service Award - The Public Service Award is given to an individual whose work has profoundly expanded coverage and public understanding of long-term-care issues. 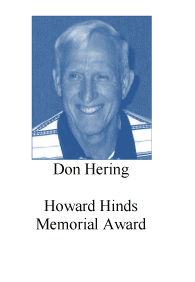 Howard Hinds Memorial Award - The Hinds Award was established in 2005 in memory of the late Howard Hinds, a Tennessee District Long-Term Care Ombudsman. Howard was a true champion for residents and for the ombudsman program as well as a passionate advocate on national issues. 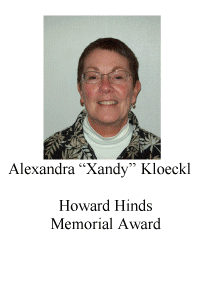 The award honors an individual who has effectively advocated for residents on the local level. Toby S. Edelman Legal Justice Award – This award was created in 2009 to honor those who, working through or with the legal system, go to extraordinary lengths to achieve justice for long-term care consumers. It is named in honor of Toby Edelman of the Center for Medicare Advocacy, whose work for more than 30 years has influenced and shaped long-term-care law, policy and enforcement.